Founded by William Allan in 1811, Allan Brothers is Britain's longest established joinery specialist. Over the last 200 years, we've amassed a wealth of knowledge in working with timber and developed an enviable reputation for quality, craftsmanship and service. 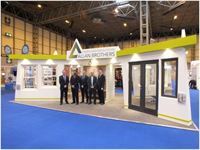 Allan Brothers strives to be at the forefront of the timber window and door industry, developing high-performance products that offer style, security and performance without making a negative impact on the environment. In 2007 we became part of the Inwido Group, Northern Europe's largest producer of innovative, environmentally friendly, wood-based window and door solutions. The combination of 200 years of British craftsmanship with Scandinavian performance and design has created a range of timber products that will add value to your home for years to come. Danny Hughes, Managing Director Allan Brothers. As a member of the Wood Window Alliance it is reassuring to have such strong evidence showing the benefits of manufacturing timber windows to such a high standard. Our alu-clad range is highly durable yet low maintenance: the aluminium casing shields against even the most severe of conditions, but retains a stylish finish. With a career spanning over three decades, it is a privilege to have Martin on board as part of the team. 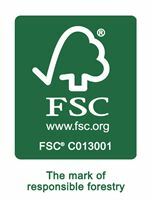 This certification is an important verification of our commitment to developing timber windows and doors in an environmentally responsible manner. The main objective of the new website was to ensure customers can find what they are looking for quickly and easily regardless of whether they are viewing on a mobile phone or a desktop PC.